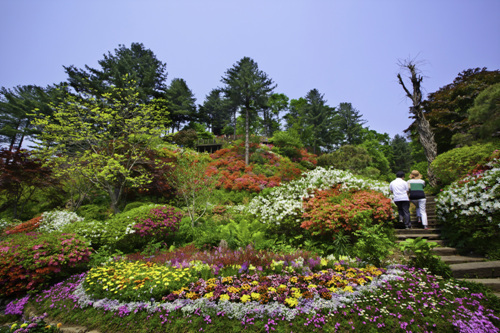 The Garden of Morning Calm, a 30,000㎡ garden, is open year-round and is a great spot to visit for families, couples, and photographers alike. 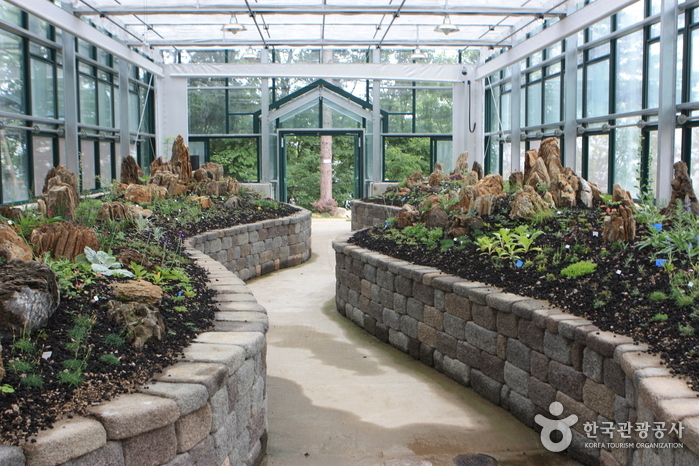 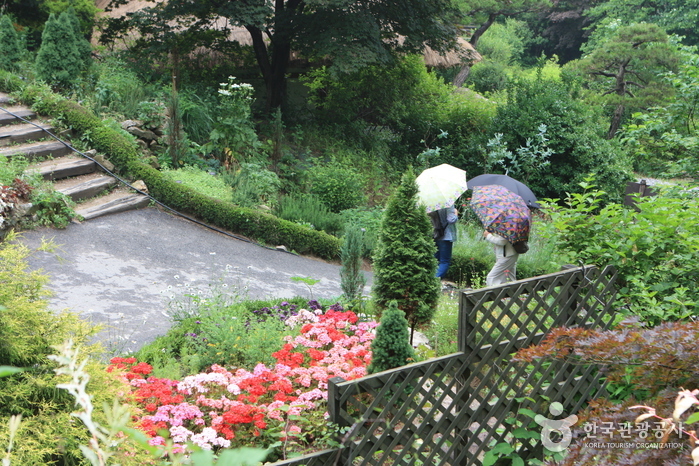 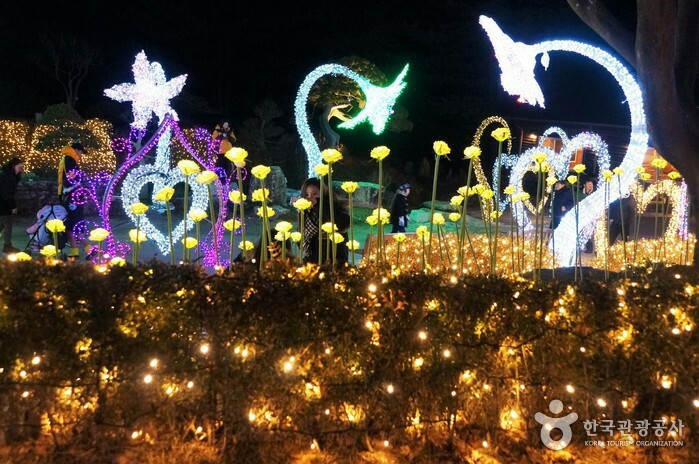 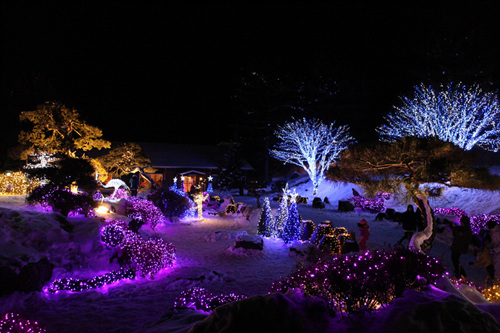 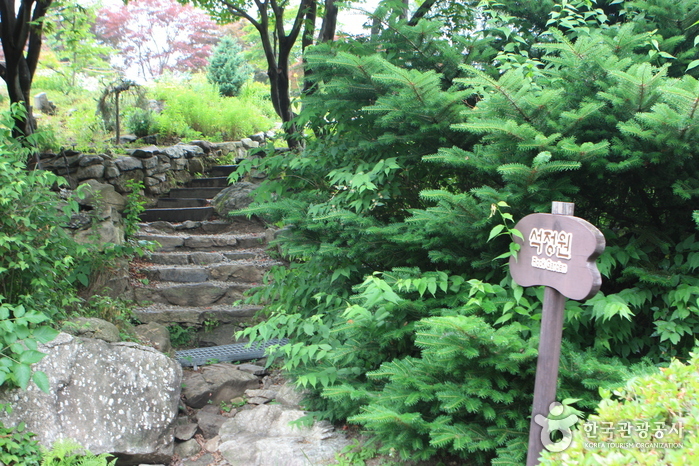 The garden was conceptualized by Professor Han Sang-kyung (Gardening Department, Sahmyook University) while he was serving as an exchange professor in America. 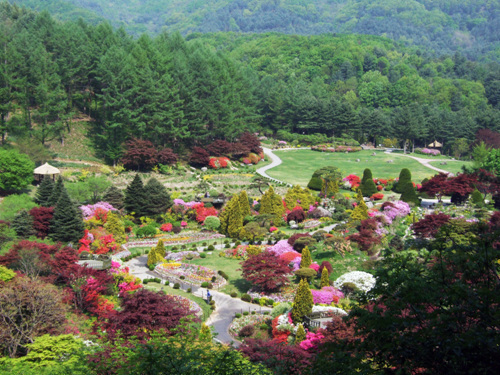 His vision was to create a garden that would become world-famous and spread the concept of Korean beauty throughout the world. 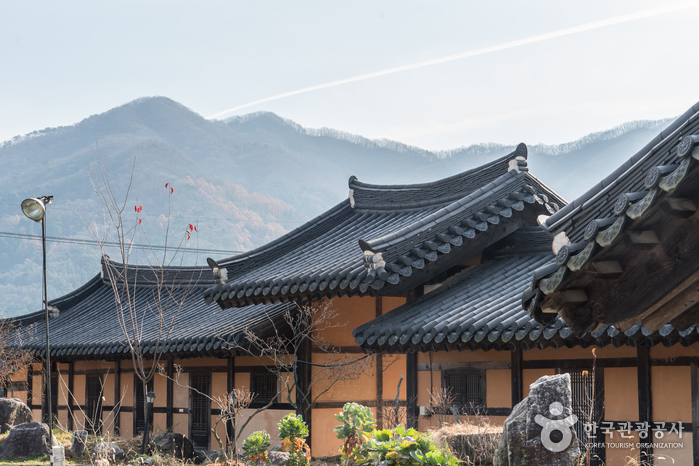 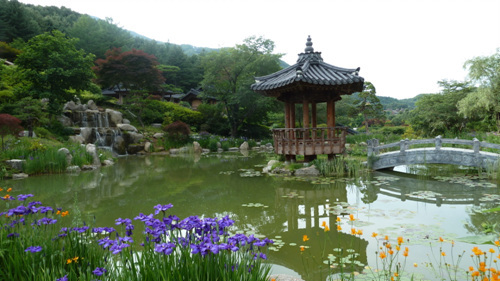 The inspiration for the garden stemmed from a poem written by Sir Tagore, a great Indian poet, who described Korea during the Joseon Dynasty as "The Land of the Morning Calm." 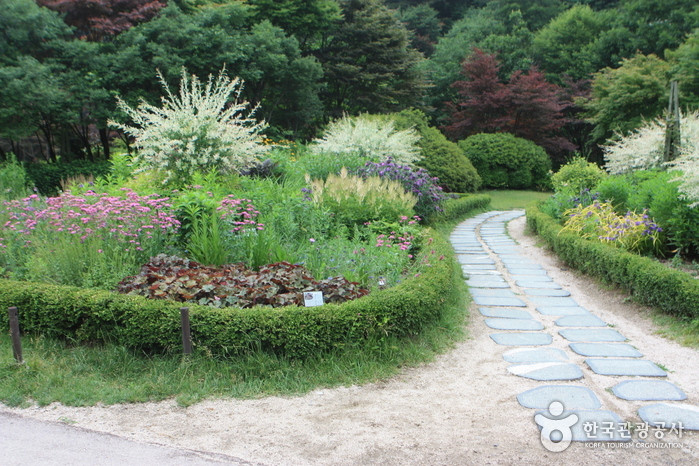 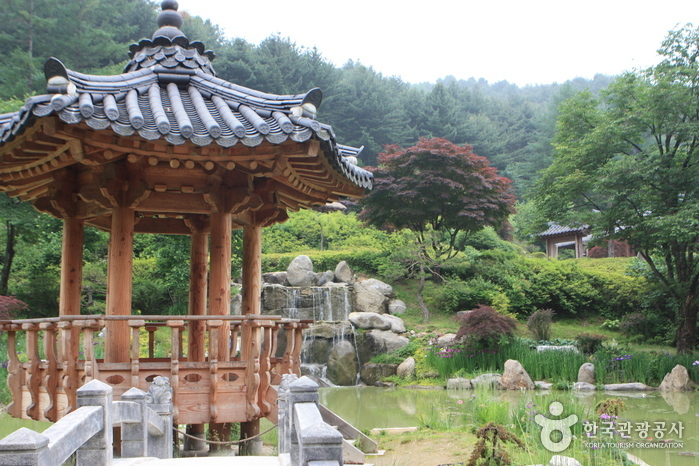 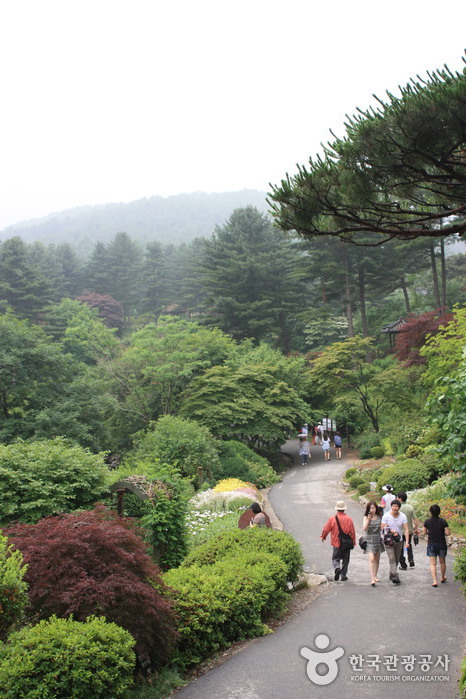 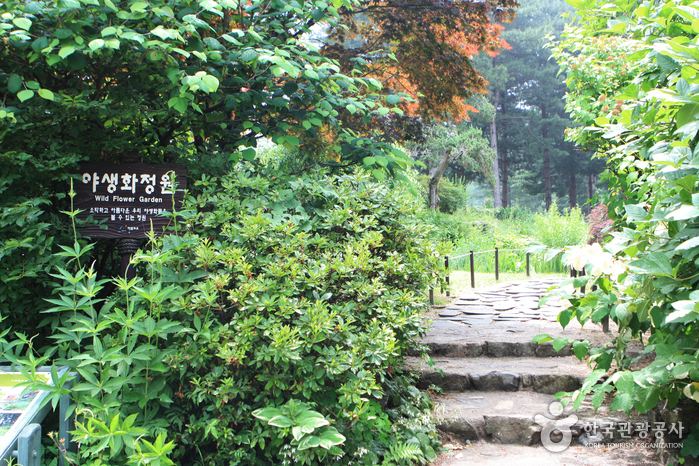 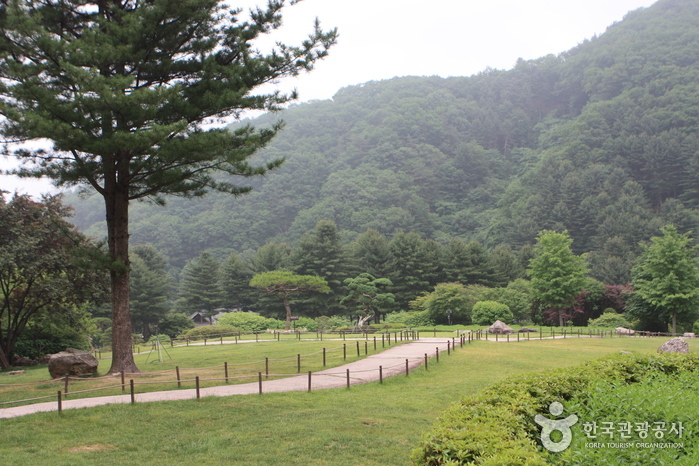 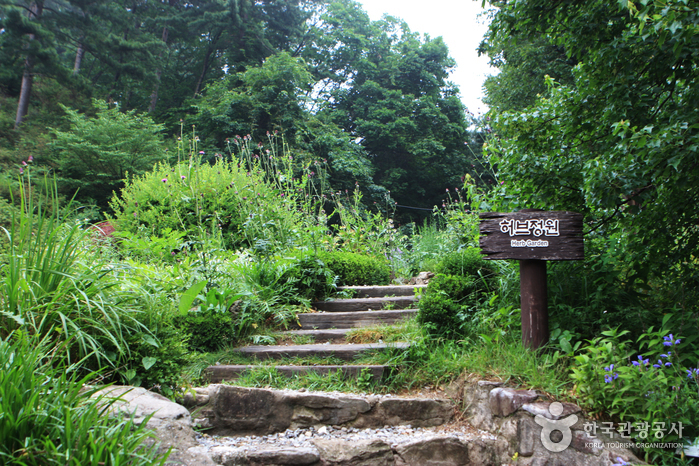 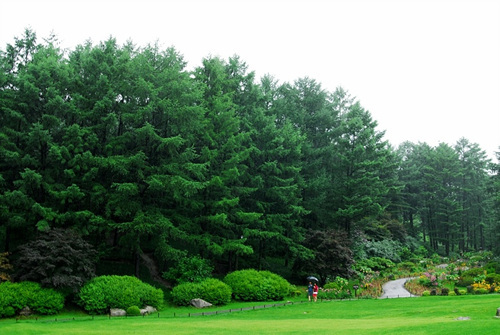 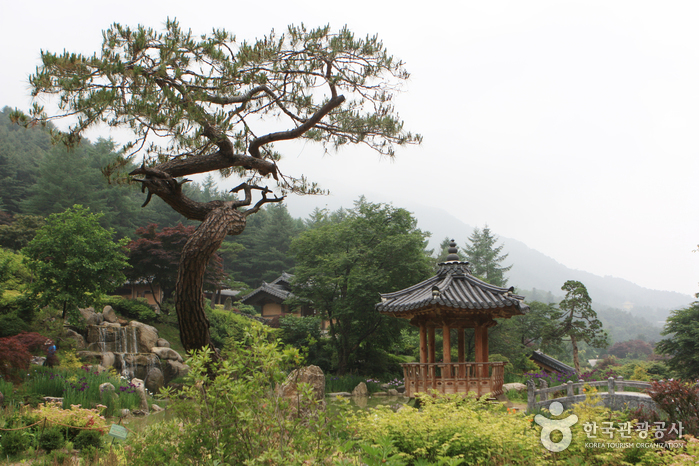 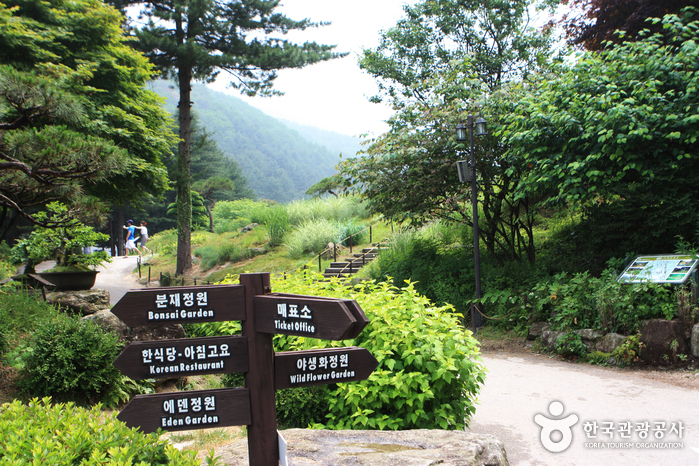 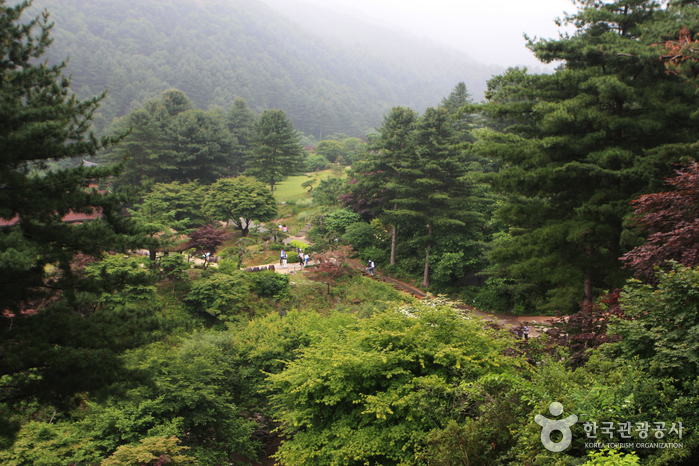 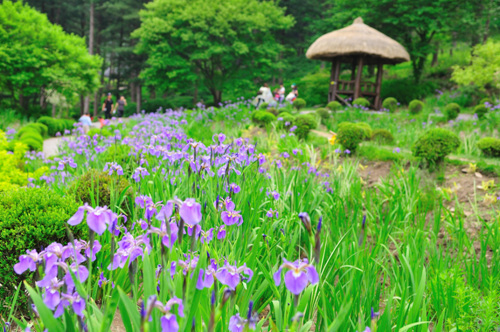 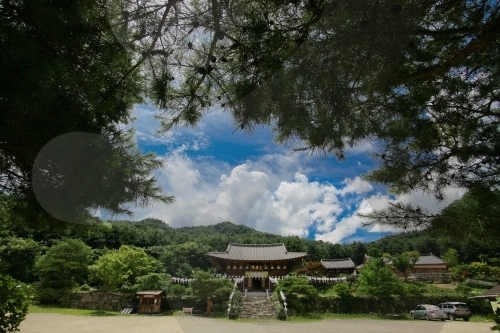 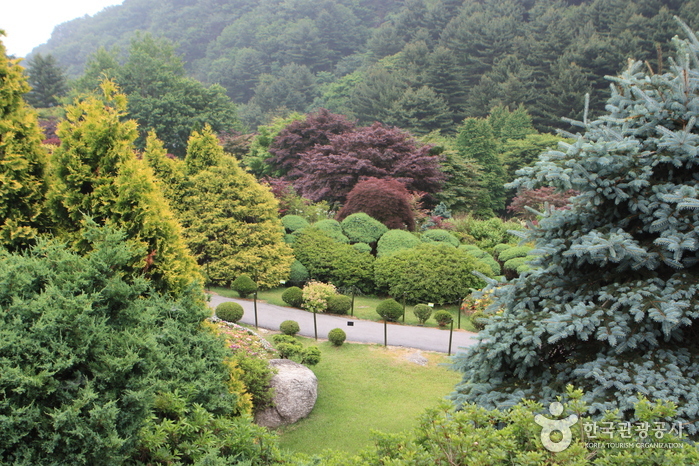 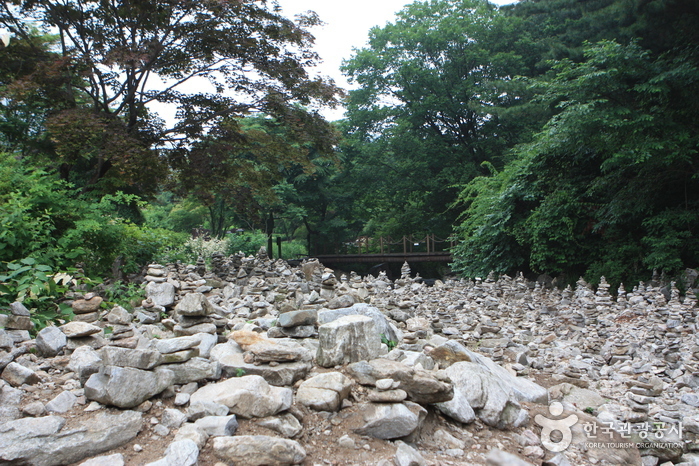 The garden is the oldest private garden in Korea. 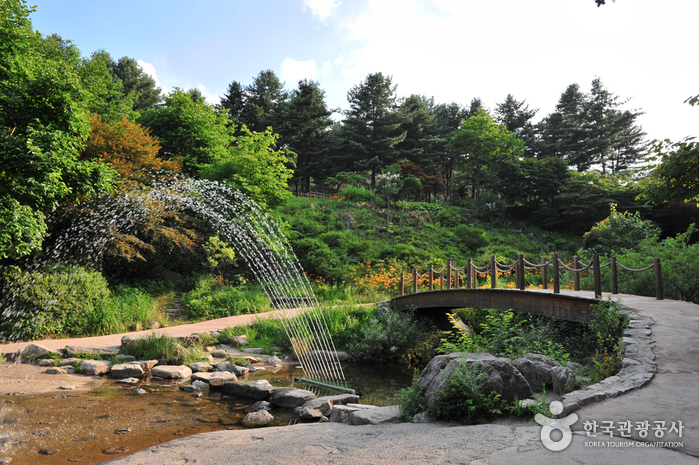 It is an artistic space with a beautiful balance between the Korean concept of natural curves with asymmetry, and plants with synthetic materials, attracting about 600,000 visitors annually. 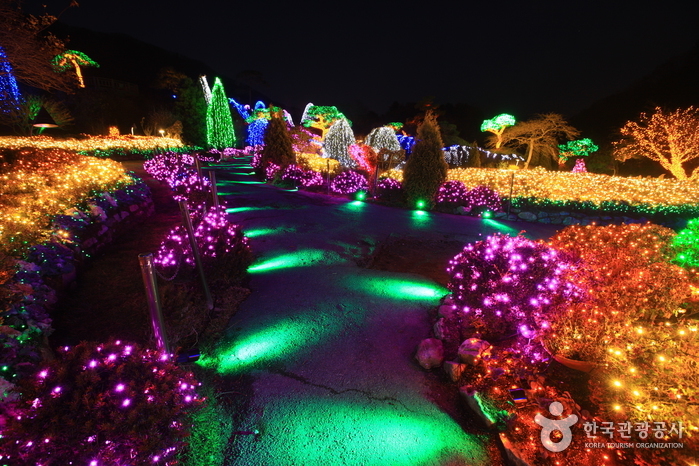 Scenic walkways, beautifully manicured grass, and flower beds connect the garden's 20 different themed sections. 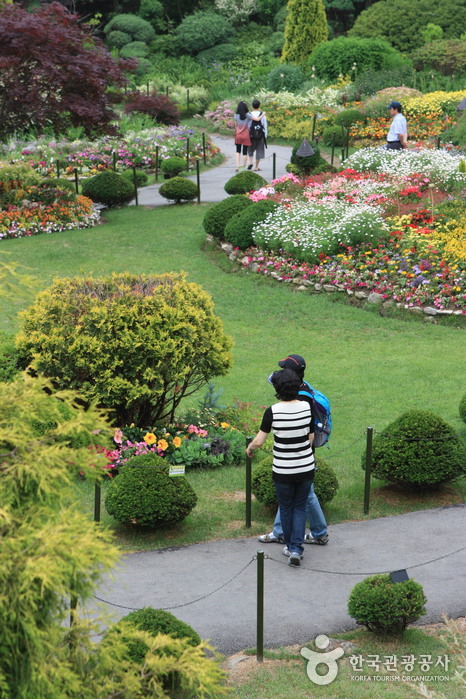 The Sunken Garden is shaped like the Korean Peninsula and is carpeted with beautiful flowers on both sides representing the desire for South and North Korea to be reunited. 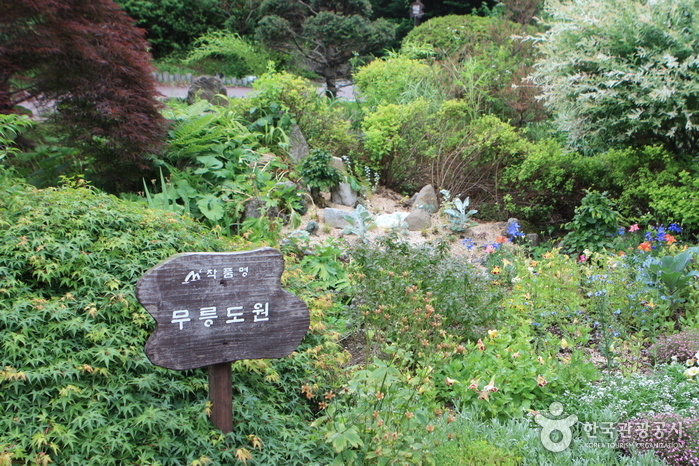 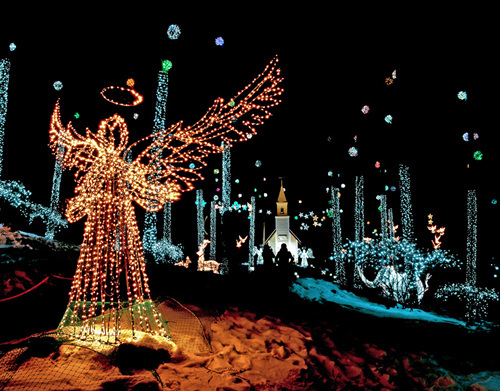 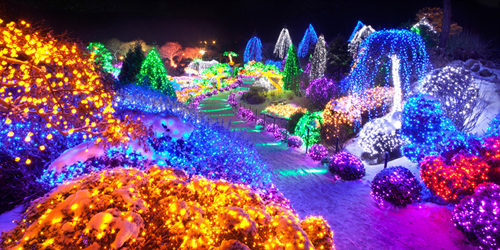 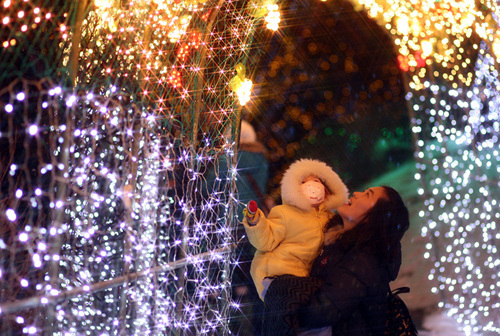 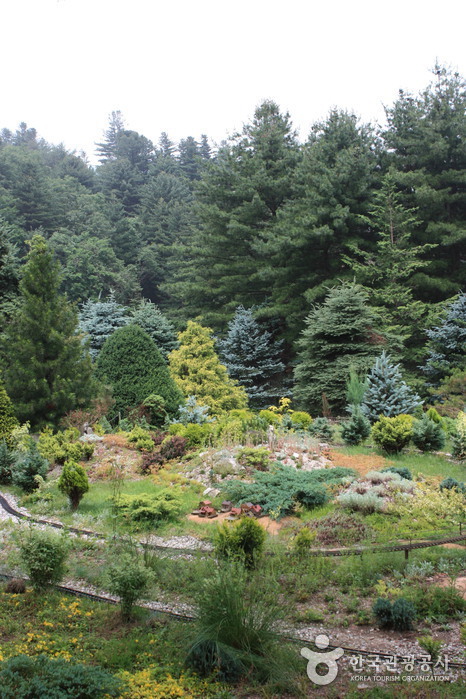 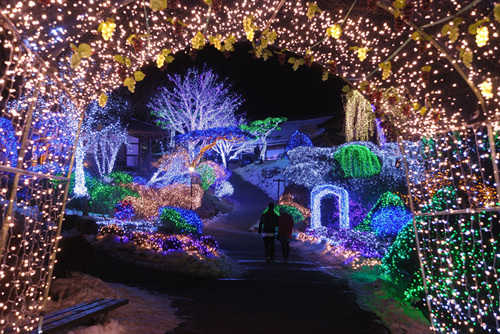 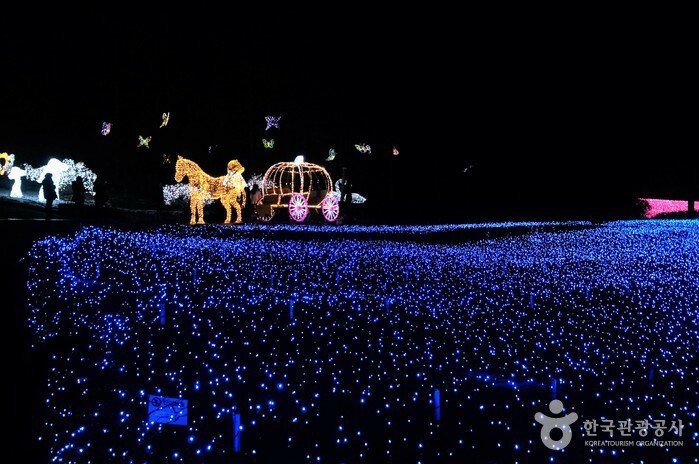 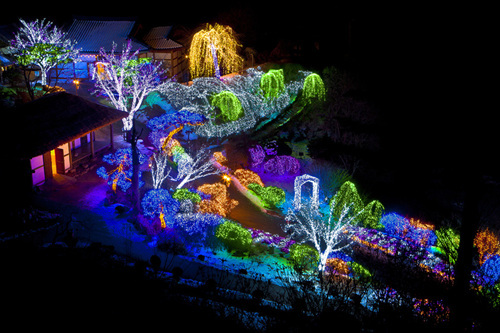 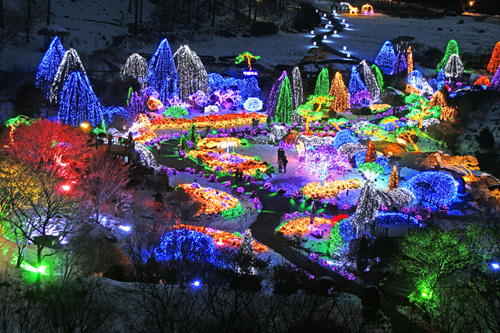 It is easily one of the most popular and meaningful attractions at the garden. 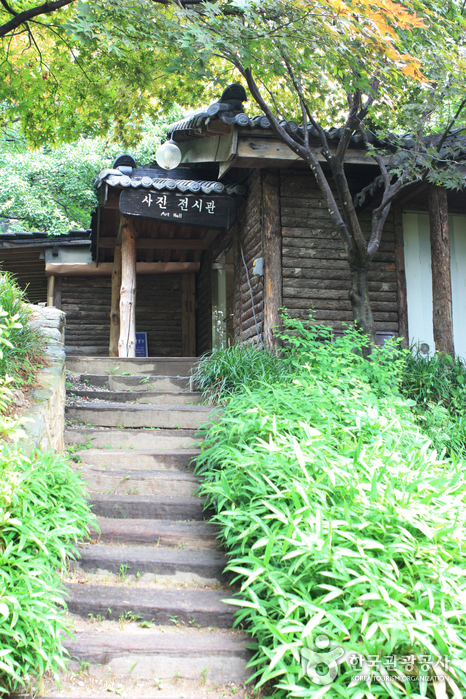 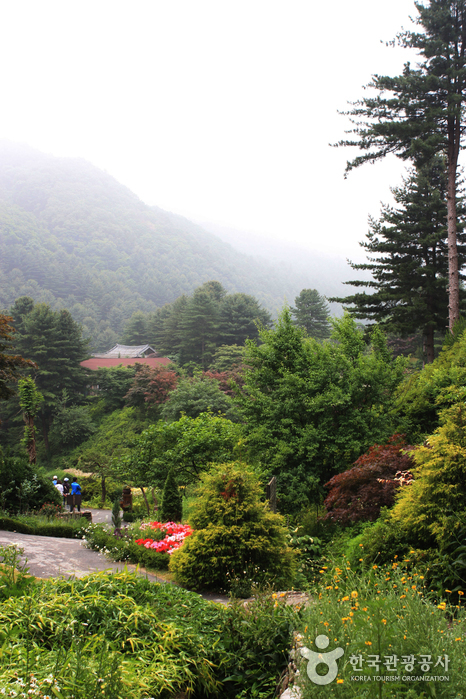 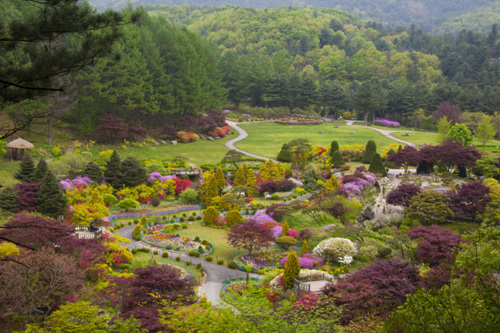 The garden houses about 5,000 kinds of plants, including 300 varieties native to Baekdusan Mountain, known as a spiritual mountain to the Korean people. 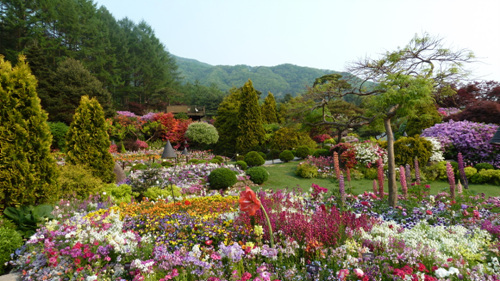 Flowers are in bloom from March to November, so the garden is usually busy during this period. 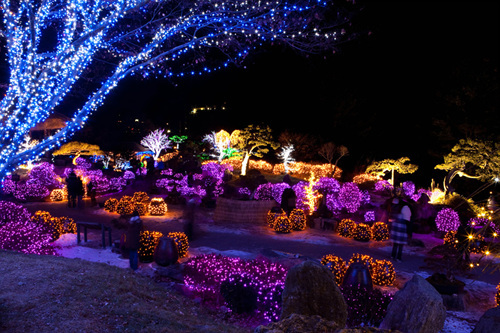 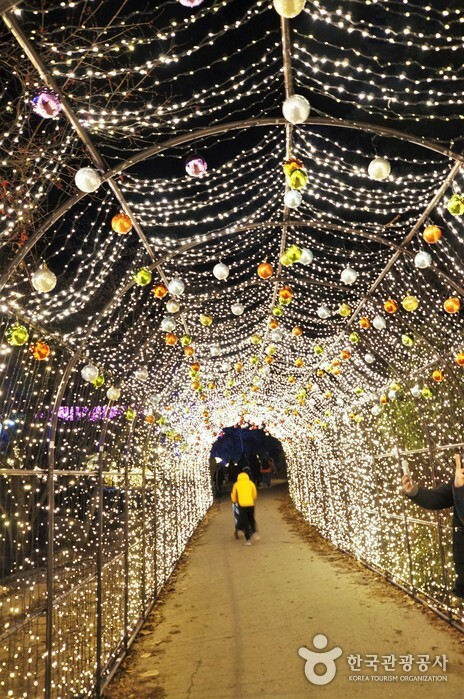 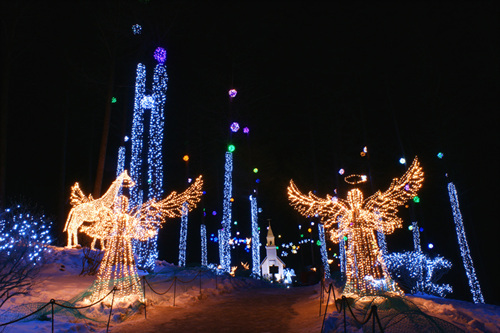 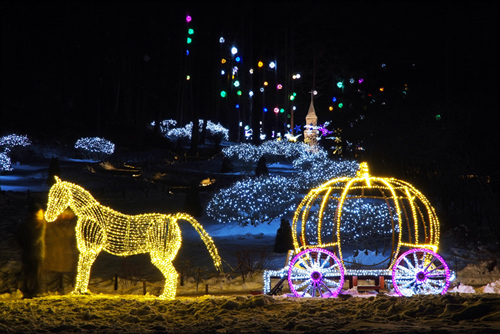 In addition to the beautiful foliage of the garden, there are a variety of festivals and displays held throughout the year. 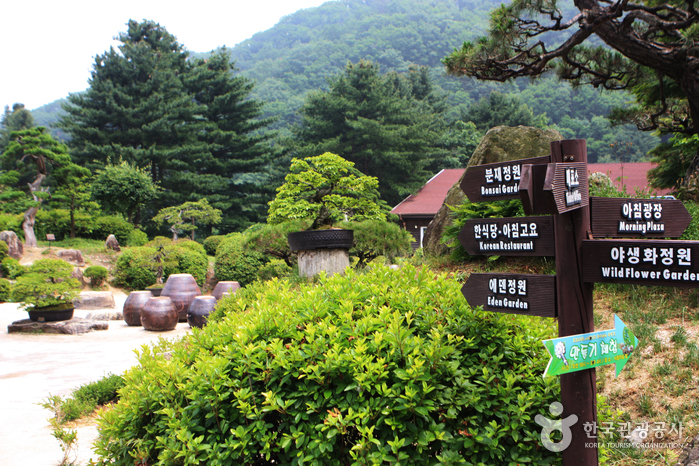 Morning Calm Gallery, History Museum, Restaurants, Wildflower Exhibition Hall, Chohwaonsil (greenhouse), Audiovisual Room, Hands-on Activity Zone, Souvenir Shop, Tea House ‘Dowon’ (herbal tea & herbal items), Coffee Shop, Cafeteria, Medical Office, Nursery (Lactation) Room, etc. 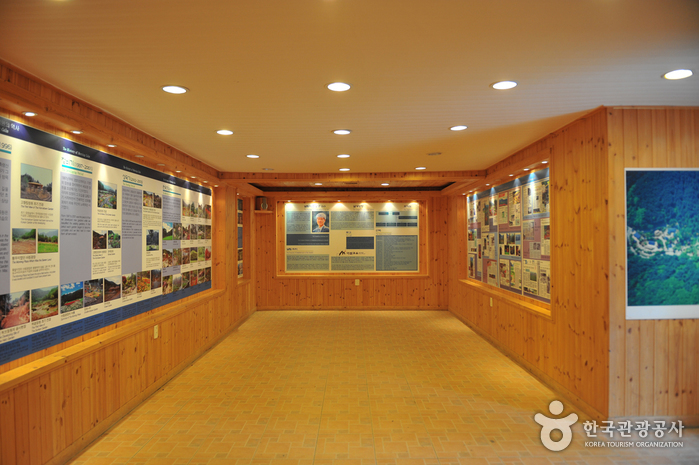 * No reservation required for Individual visitors. 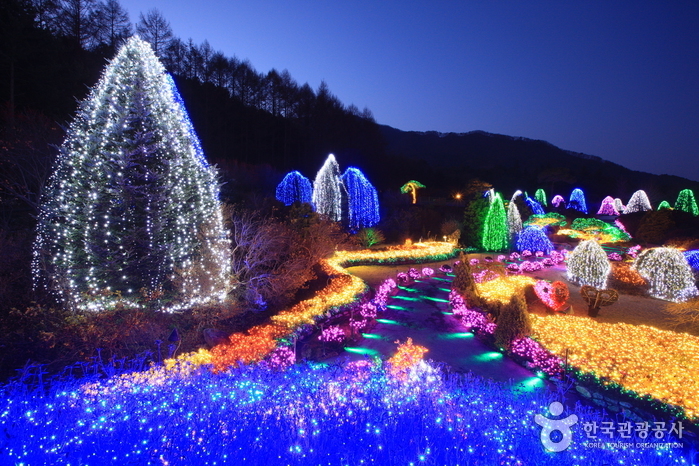 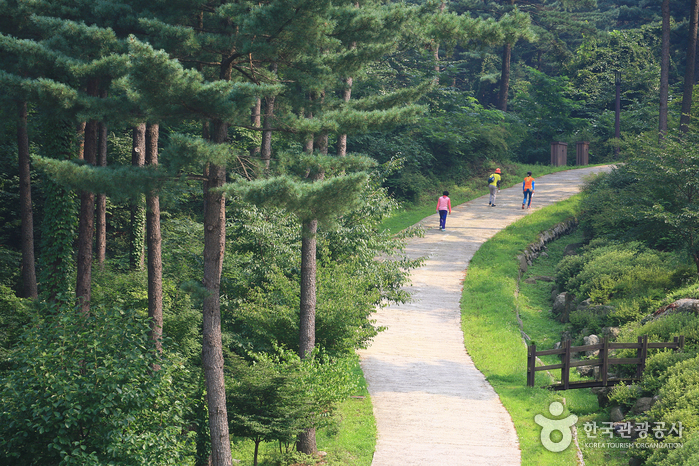 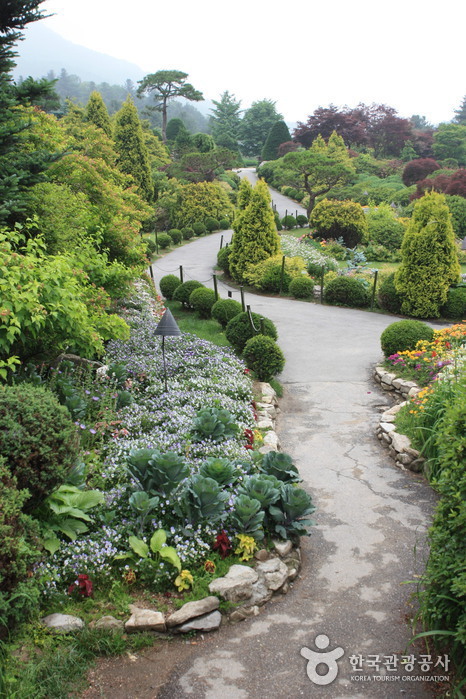 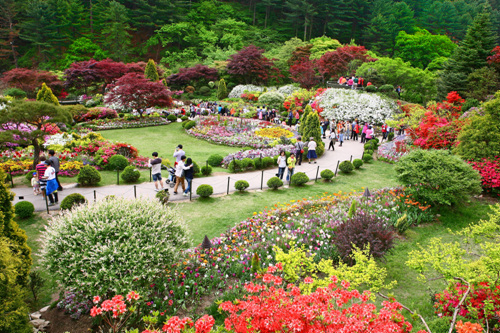 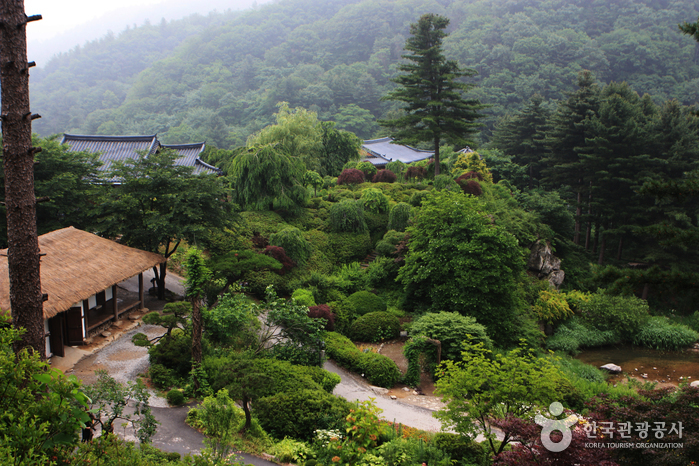 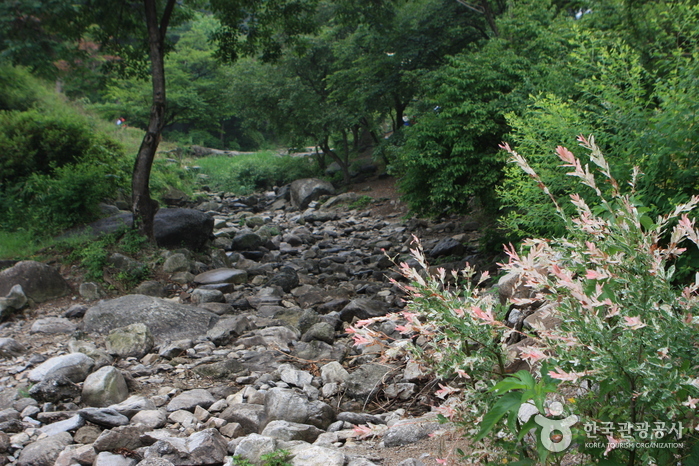 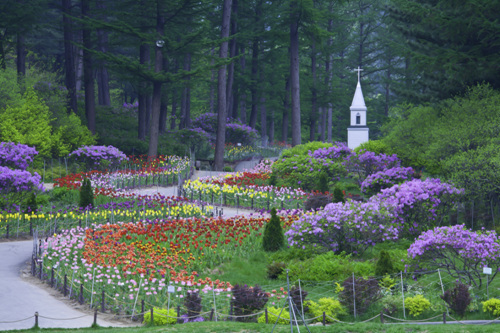 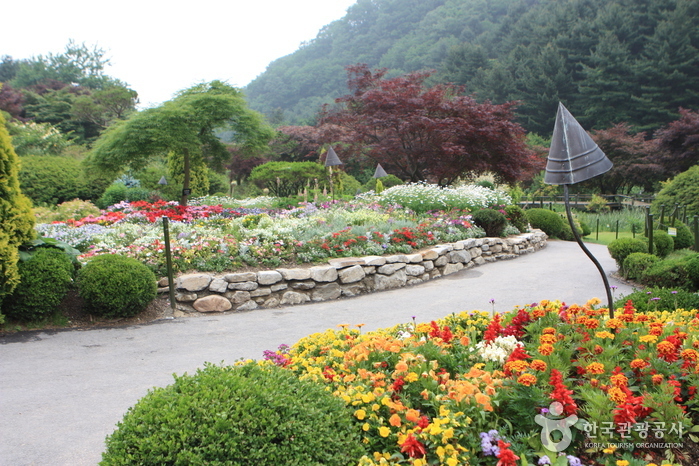 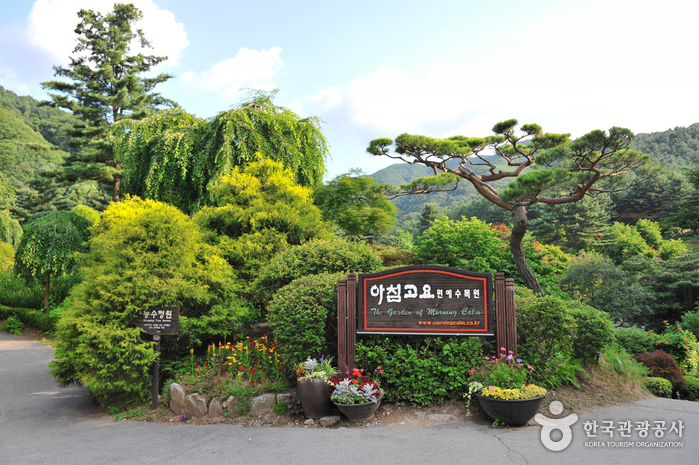 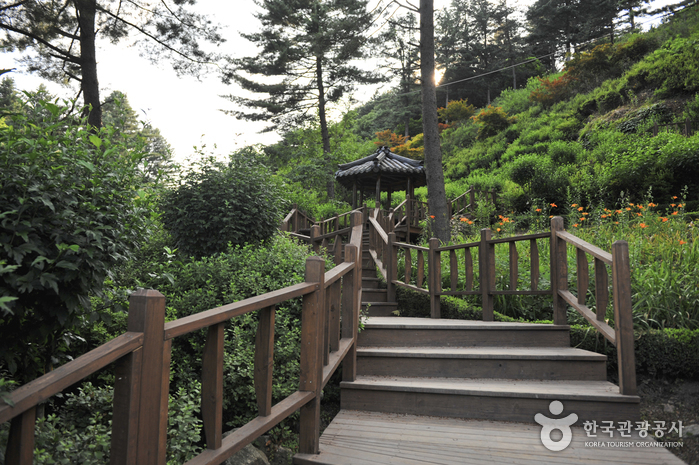 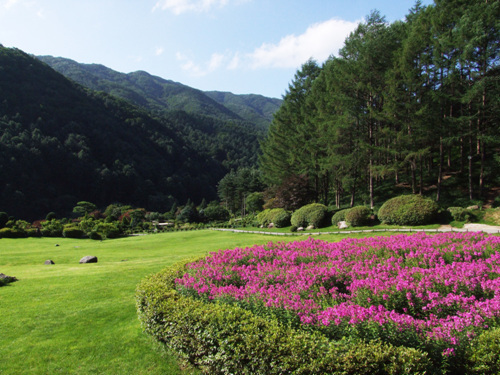 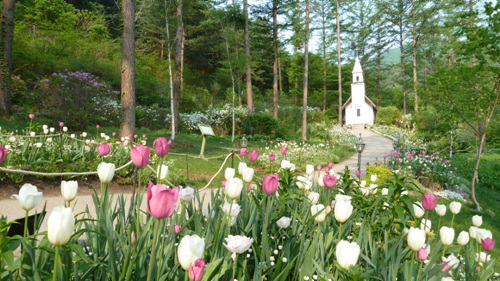 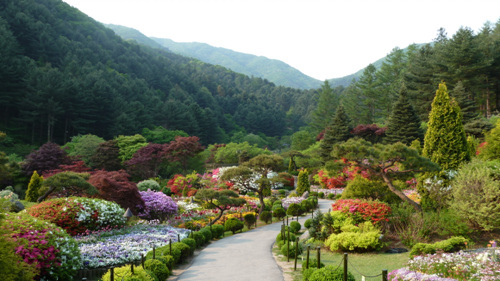 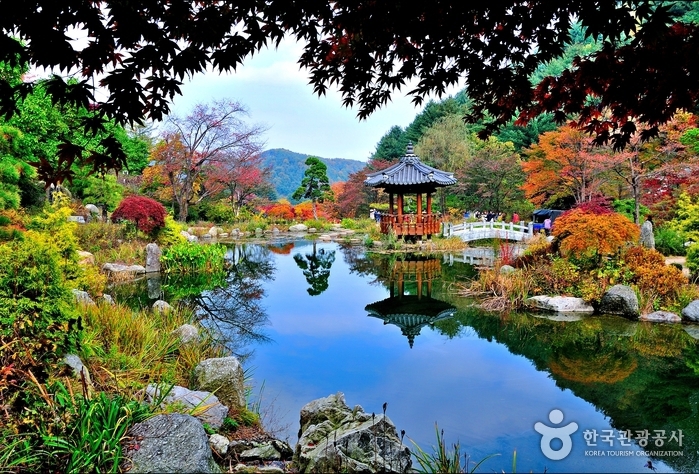 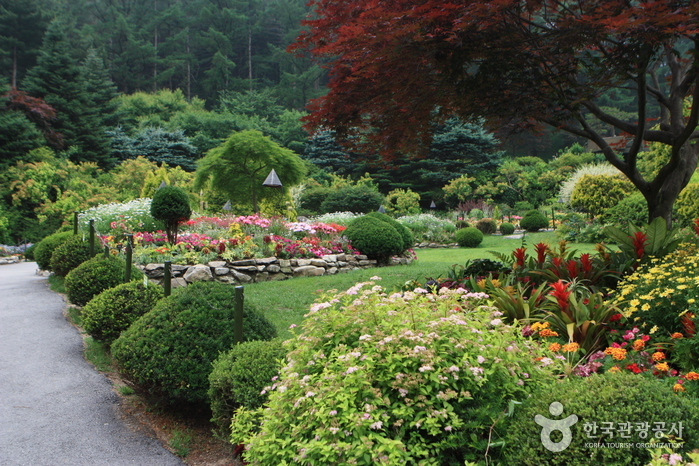 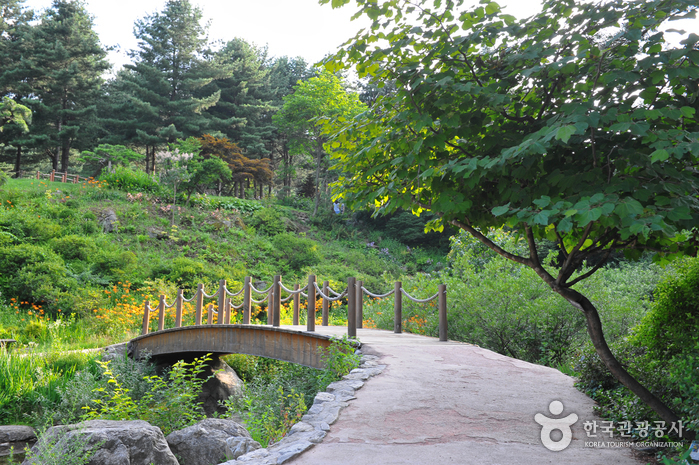 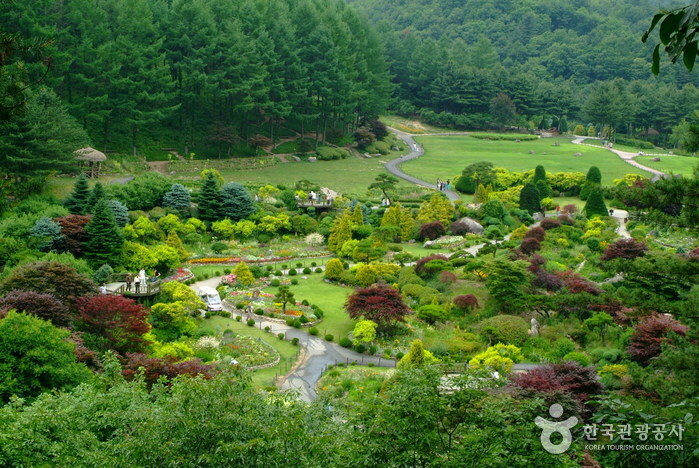 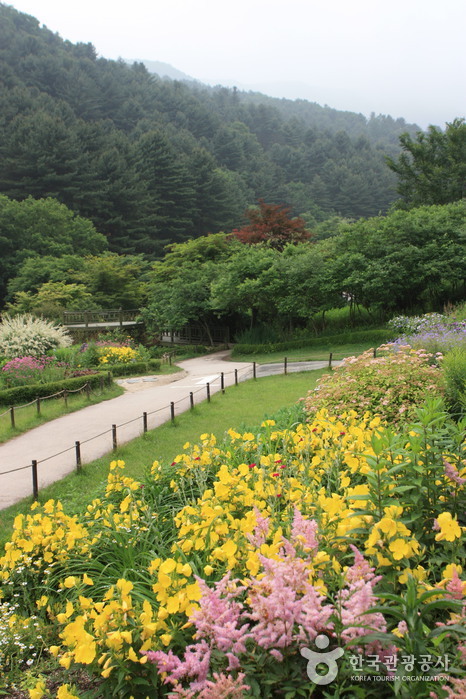 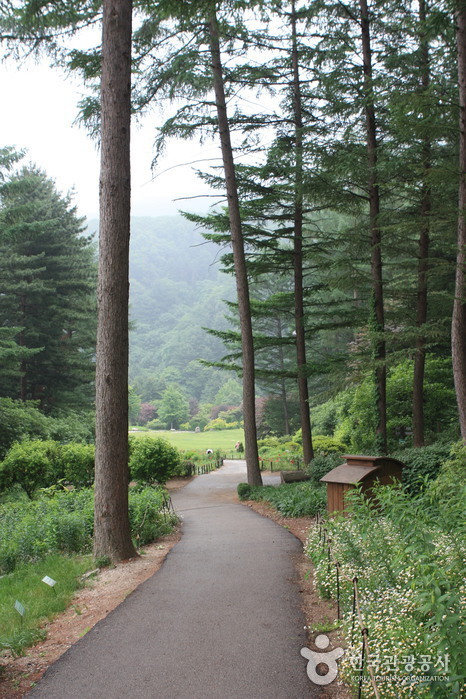 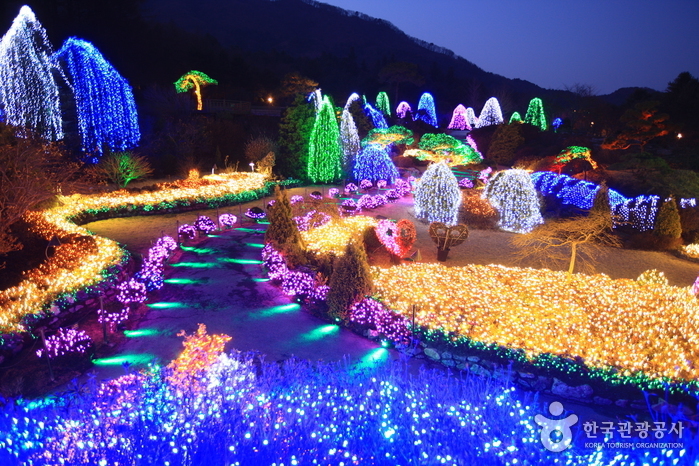 From Cheongpyeong Terminal, take Bus 31-7 to the Garden of Morning Calm. 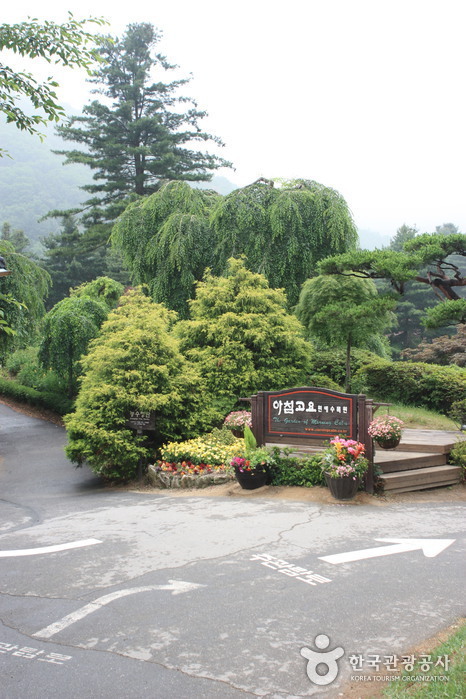 Alternatively, take the Gaypeong City Tour bus. 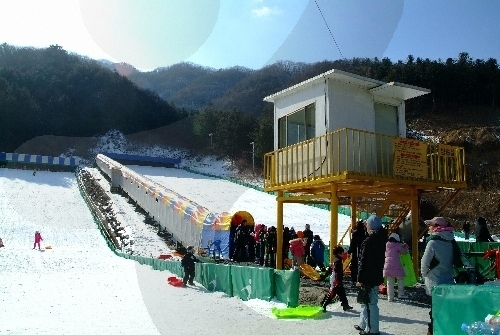 Cheongpyeong Station (Gyeonchun Line), Exit 1. 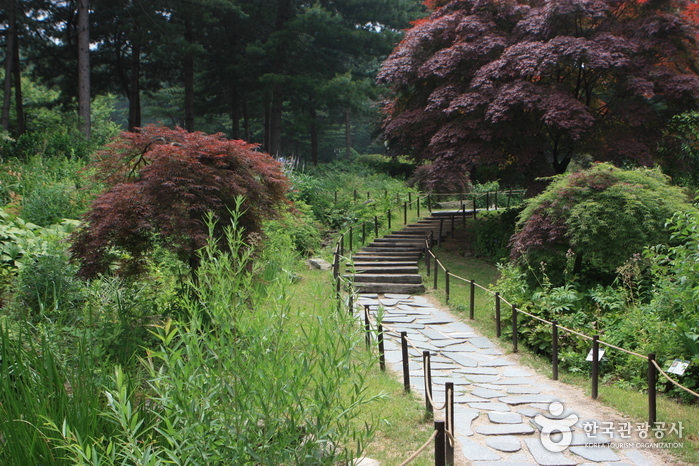 Go left until you reach the 3-way intersection and turn right. 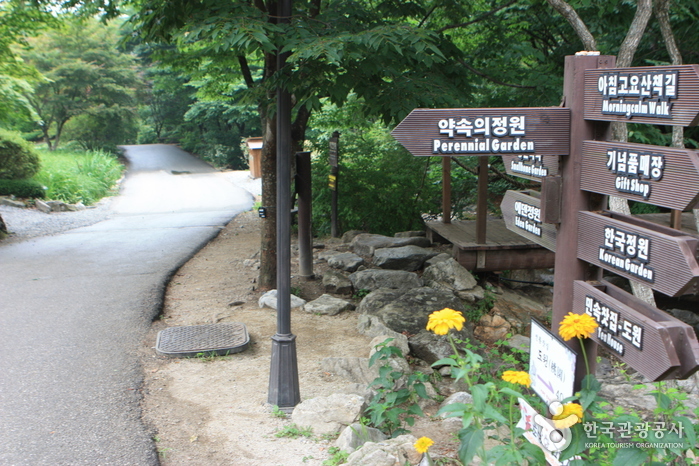 Continue straight toward the Cheongpyeong Catholic Church. 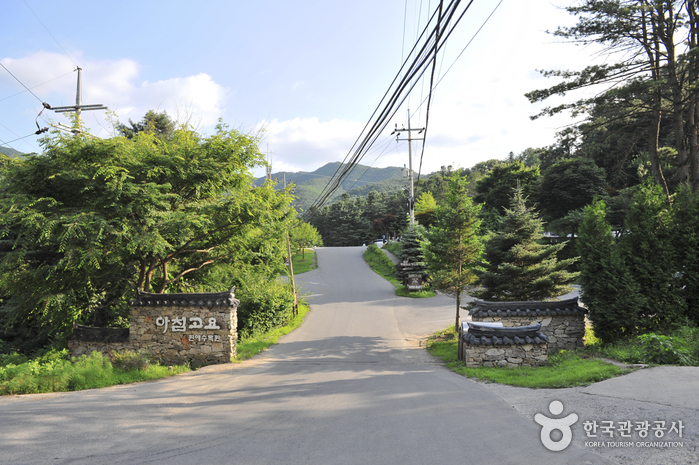 Pass by Cheongpyeong Elementary School, turn left, and you will see the Cheonpyeong Bus Terminal. 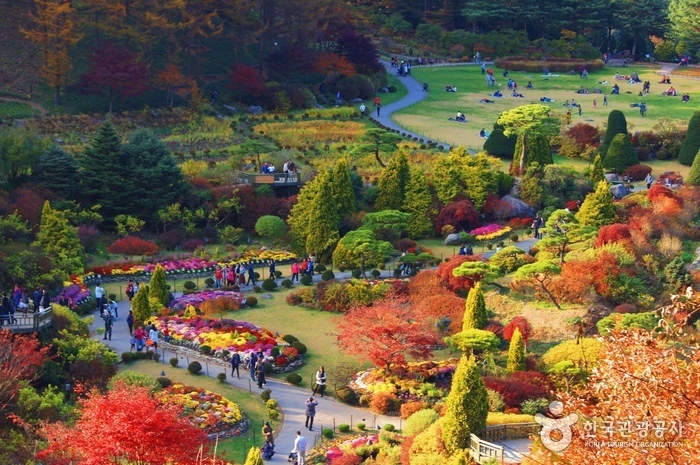 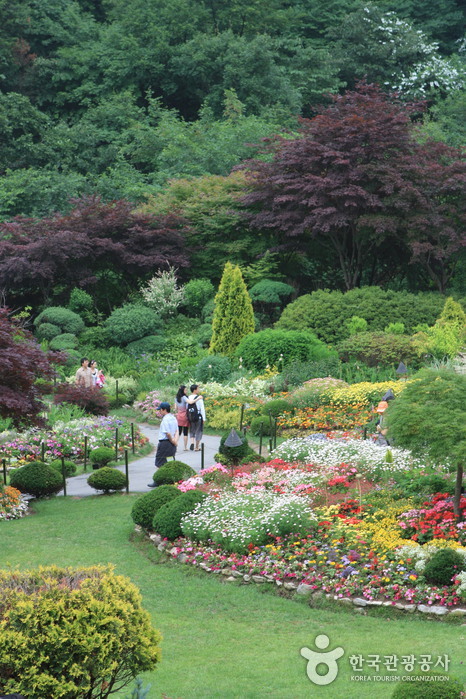 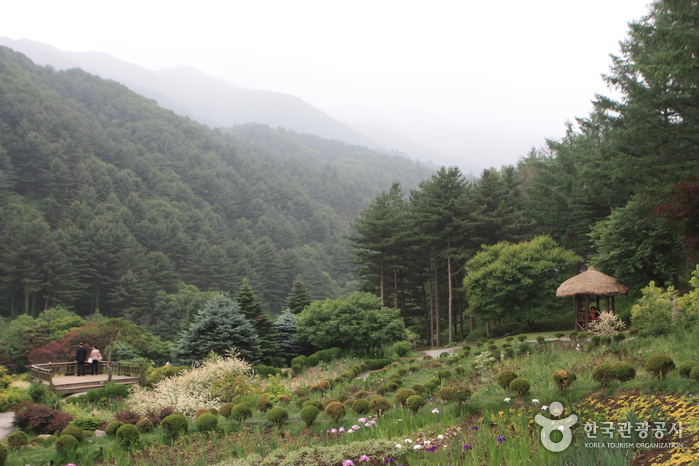 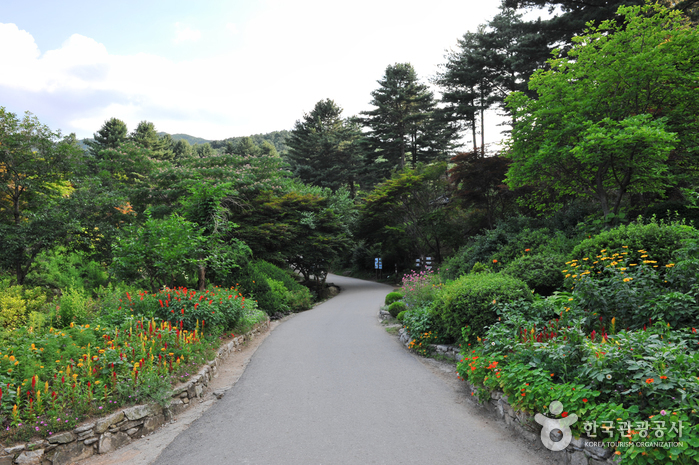 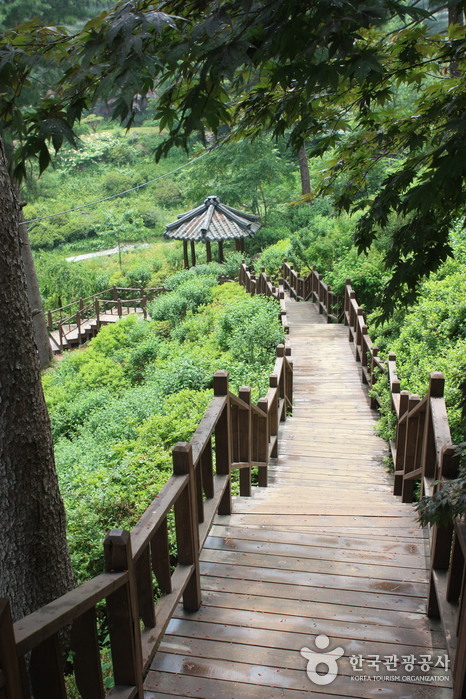 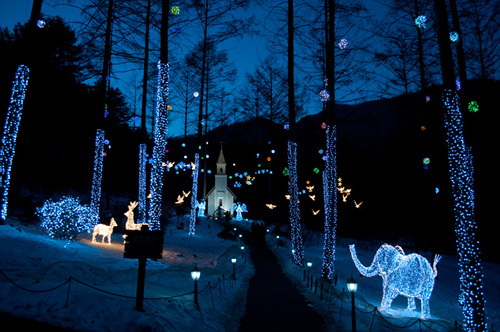 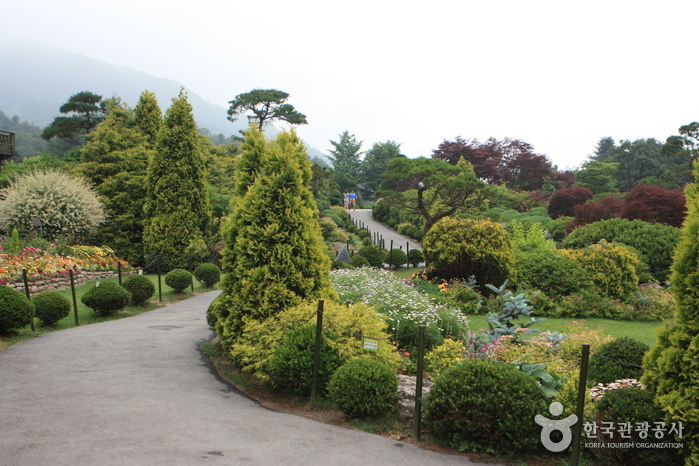 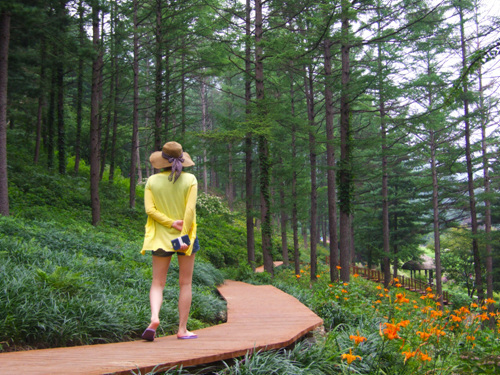 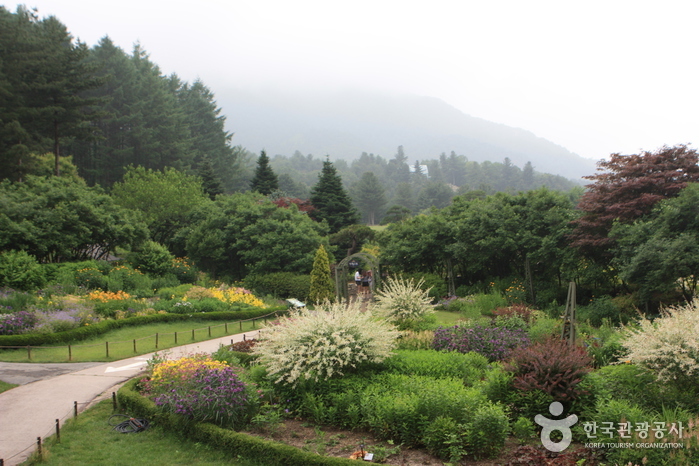 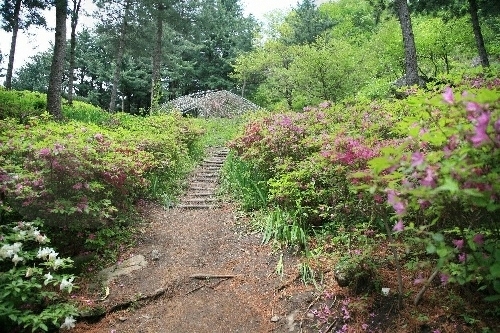 From Cheongpyeong Terminal, take Bus 31-7 to the Garden of Morning Calm. 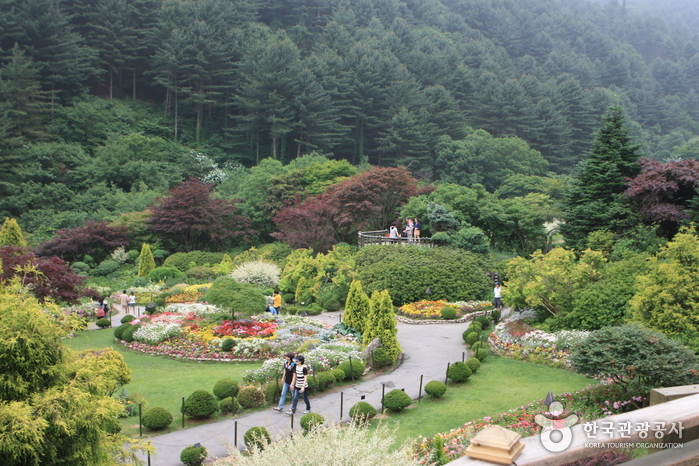 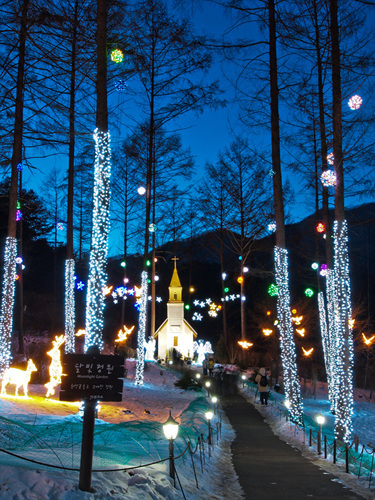 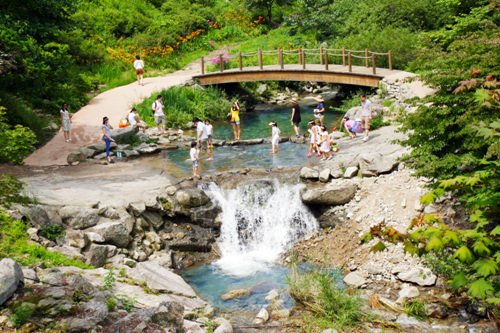 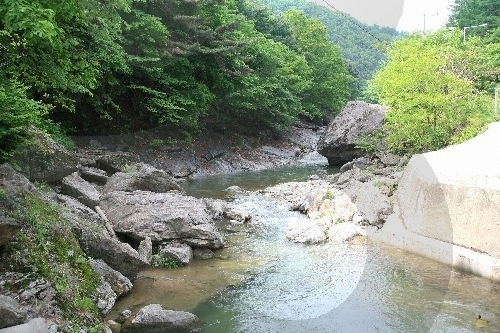 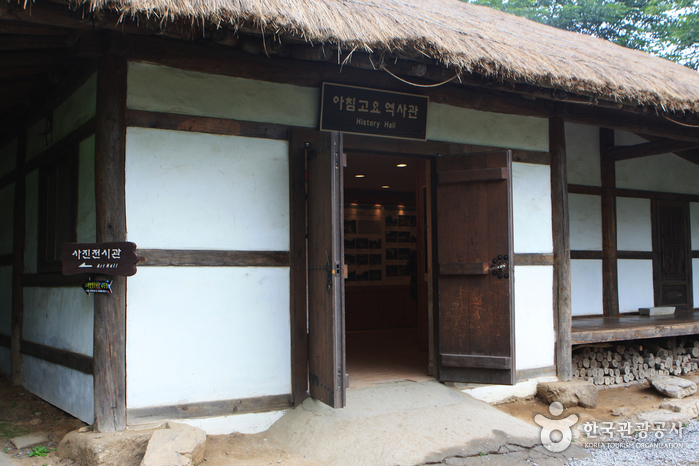 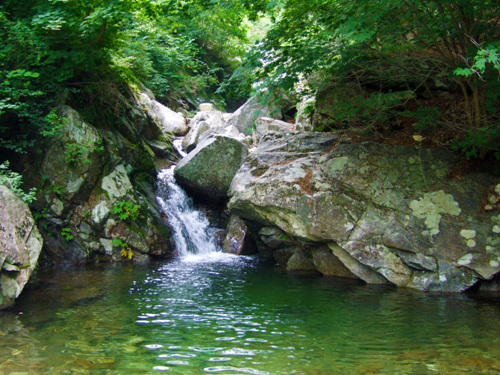 Alternatively, take the Gapyeong City Tour Bus. 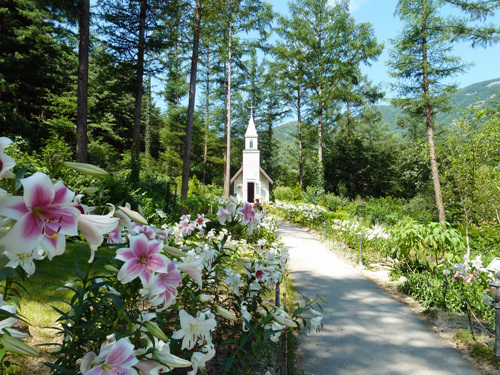 ※ Please click here for more information.